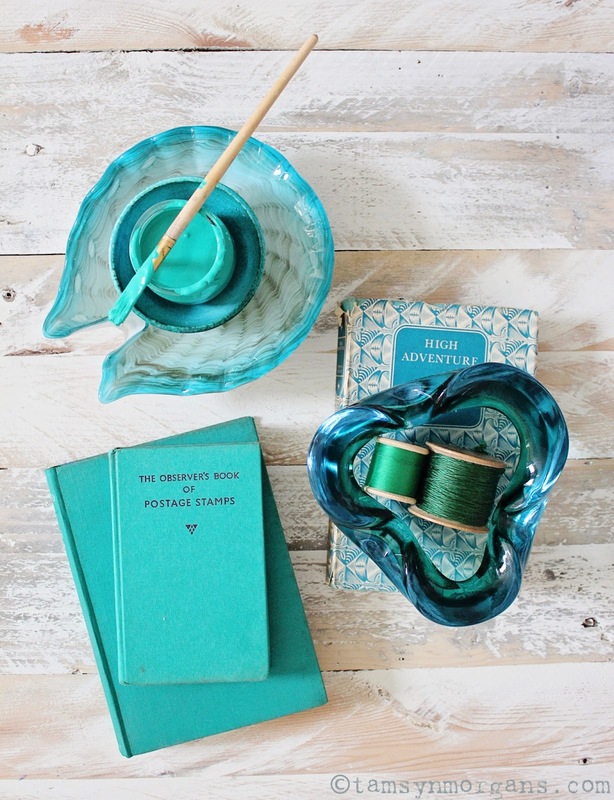 As I have mentioned before, I currently have the hots for shades of turquoise, teal and sea glass green. I’m fairly sure that being attracted to certain colours has a link with your emotions, something that I’d love to find out more about! I am gradually finding ways to introduce these shades into my home, through paint, textiles and accessories. I recently had the burning desire to add a dramatic pop of colour in my hallway, by painting the inside of my front door. The lovely folks at Valspar said they would help me out, and kindly sent me a voucher so I could choose the perfect shade. 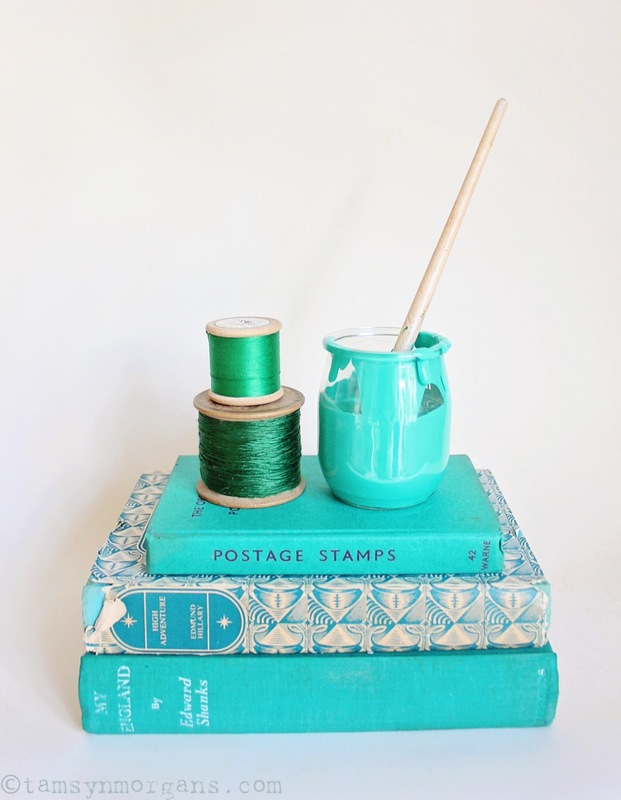 My Observer Book of Postage Stamps, which I found whilst rummaging in a lovely old book shop in Tunbridge Wells, gives me heart eyes every time I look at it, so this was the basis for the eventual colour I chose. 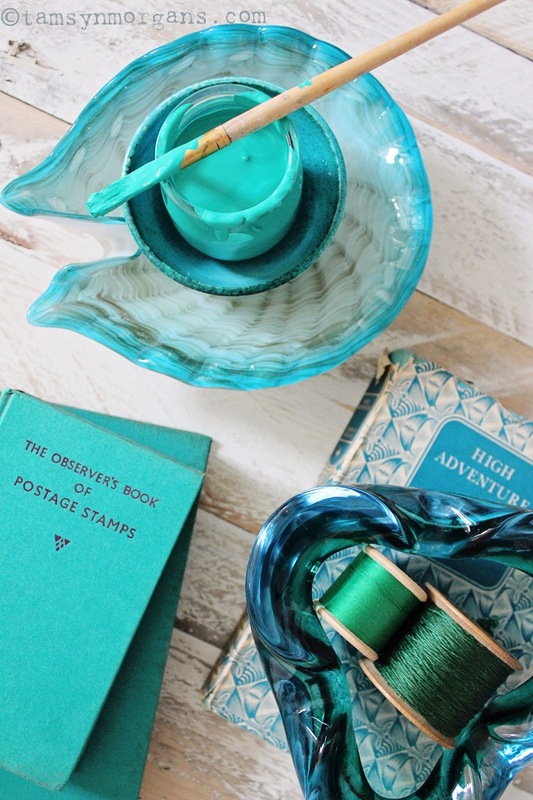 I managed to find a shade that pretty much matched it, and it was a toss up between this one and a slightly more teal colour – but I went for Enchanted Mermaid in the end, a luscious, vibrant jade green. I will share the finished door with you next week so do pop back – PS I absolutely love it! Love your shabby chic style – especially the vintage florals, which I also love. Sold my big old century home in Ontario, Canada and now have to fit my collections in to a bungalow!